A bestseller, this book contains 101 dynamic activities to help students improve their self-esteem and accept responsibility for their lives. Cartoons, quotes, and other devices help make the ideas clear and capture and keep student interest in this complete teacher resource. The first section contains activities for teachers to help improve their own self-esteem. 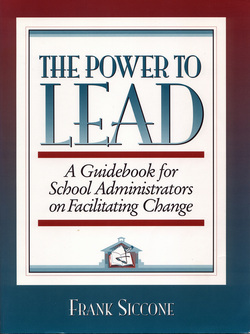 The activities prepare teachers as student empowerment leaders, role models, and coaches. The second section contains activities teachers can use to help students accept themselves and take responsibility for their world rather than seeing themselves as victims of circumstance. Activities in the third section help students set and achieve goals, participate in peer counseling groups, resolve conflicts, and expand their expertise in these areas beyond the classroom and into the community at large. All the activities are based on sound theory, have been extensively field tested and include background information, purpose, directions, materials lists, time requirements, etc. To order any of the books, click on the title. Here is a resource specifically designed to help teachers meet two of the most demanding challenges they face — building students’ respect for themselves and others, and promoting responsibility both personal and social. It provides tools teachers can use to turn their classroom into a safe and productive environment where students are empowered to make a difference in their own lives and the lives of others. At the heart of the book are over 90 carefully chosen activities, presented in a developmental sequence progressing from valuing the self to appreciating and participating in the world at large. Each lesson offers clear objectives and instructions so it can be put to use immediately, and many include reproducible worksheets. The activities are organized into chapters, each ending with a list of suggested student readings linked to the lessons in the chapter. An extensive bibliography is included at the back of the volume to help teachers select books of particular relevance to their students. In organizing the activities, the authors have paid particular attention to educational objectives. Because self-identity and cultural identity are so intrinsically connected, the book begins with activities that celebrate children’s cultures — their names, languages, family patterns, and customs — along with their individuality. In the second section, lessons on interdependence encourage students to value one another and work cooperatively. 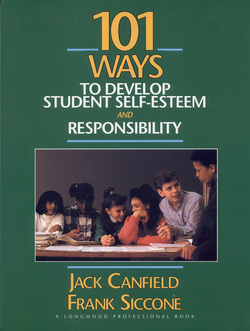 The section on personal responsibility provides practice in goal setting and student empowerment. The activities in the social responsibility section build skills in problem-solving and conflict management, and involve students in community service projects. A philosophy of inclusion is reflected throughout the book through vignettes, quotes, and the activities themselves. Motivating Your Students provides real-life, practical suggestions, with a focus on lesson planning and teaching strategies. It emphasizes effective communication strategies and presentation skills for classroom use to inspire students to enjoy learning. This book will help teachers to do the following: understand and meet students' motivational needs; present information and structure education activities to match students' diverse personalities and learning styles; be more persuasive and influential; get and keep students' attention so that they participate more fully; use storytelling as a powerful tool to make abstract concepts more conceptual; and make each lesson more memorable. For educators, trainers, and teachers. This user-friendly sourcebook is packed with hands-on activities designed to help you solve problems and lead your school to positive change. Sequenced in a logical manner so you can easily implement the change process one step at a time, the activities in this guide get you through even the toughest administrative obstacles and conflicts. Each section of the book is thoroughly self-contained, and each activity is complete with clear objectives, easy-to-follow instructions, and reproducible worksheets that let you put the material to immediate use. Through the book’s hands-on approach you can easily learn to manage time more effectively, keep focused on priorities, stay motivated in the face of resistance, communicate with more impact, use coaching strategies to empower the staff, facilitate group processes, conduct future planning for the school, and much, much more. 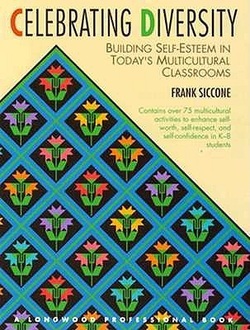 A resource designed to help teachers build self-esteem and appreciate cultural diversity. Includes 75 classroom activities for students in K-8th grades, with objectives and instructions for each activity, plus many reproducible worksheets. Activities emphasize cultural identity, working cooperatively, personal responsibility, and conflict management. Includes bibliographies of readings linked to the activities, and a bibliography of children's books organized by cultural groups. Celebrating Diversity's detailed descriptive strategies are written in a no nonsense style that can help counselors and teachers turn their offices and classrooms into insightful and imaginative places of self-discovery.